Despite a widespread boycott of stores carrying Ivanka Trump merchandise, the company in charge of the brand says sales have been soaring since that start of February. Despite a widespread boycott of stores carrying Ivanka Trump merchandise, the company in charge of the brand says sales are soaring. She said Ivanka Trump products were a "top performer" in online sales for many retailers, and in some categories, the brand saw its "best performance ever." The company did not provide any actual sales figures. Its claim that business is booming is being met with some skepticism in light of recent events. To protest U.S. President Donald Trump's deeply divisive policies, a grassroots campaign called Grab Your Wallet has been calling for a boycott of retailers carrying Trump merchandise. 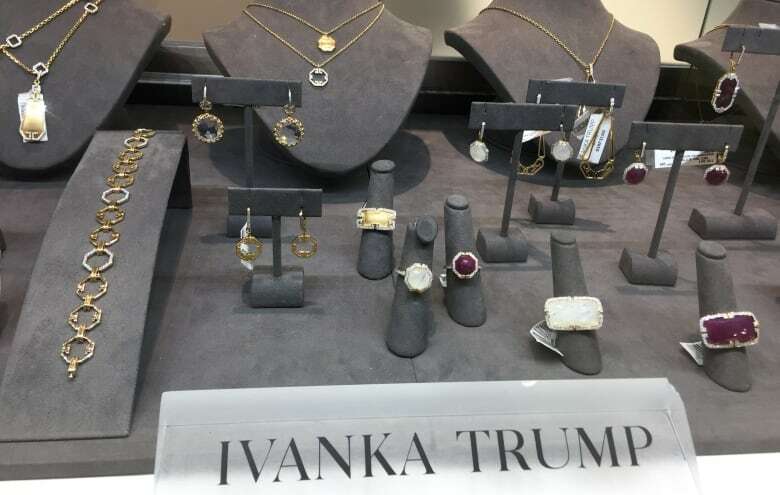 The boycott also targets Ivanka Trump's line of clothing and accessories. Some retailers have already dumped at least some Ivanka Trump products, including U.S. department store giant Nordstrom. It announced in February it wouldn't be carrying this season's line based on sales performance. Market research company Slice Intelligence also found that Ivanka Trump online sales were waning, reporting a 26 per cent decline in January 2017 compared to January 2016 at five major U.S. retail chains. Trump supporters buying up brand? 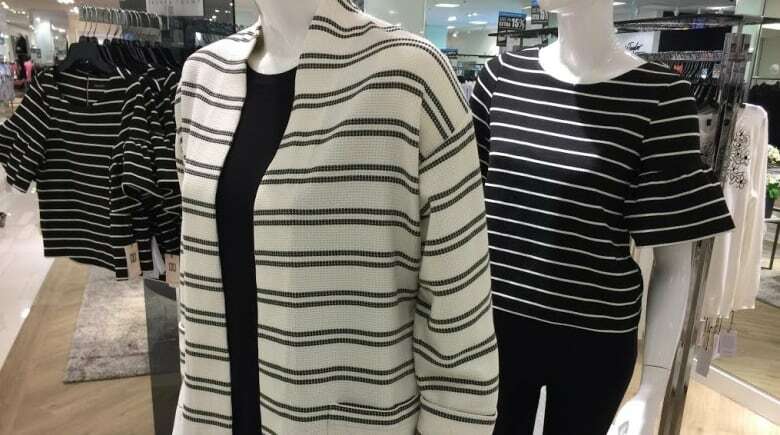 Reports Ivanka Trump's line is selling well could be considered surprising, says Toronto-based analyst Bruce Winder. But, he said, "it's not impossible." The line may have taken a hit thanks to the boycott, but the boycott may also be encouraging Trump supporters to run out and buy her products, says Winder, co-founder of the Retail Advisors Network. "They may have used her merchandise as a declaration against Grab Your Wallet, or against, potentially, the liberal folk who have made it a point to protest and boycott Trump," he said. Following news of the boycott, many Trump supporters have rallied behind the line. "Trump ladies, go buy Ivanka's clothes to show your support!" declared one supporter last month on Facebook. Also in February, a group of women in the U.S. stormed a Nordstrom store and demanded that their accounts be closed. "No money for Nordstorm," said one of the shoppers, waving a fistful of cash. The group then declared it was heading to Dillard's, a U.S. department store that still carries Ivanka Trump's brand. Winder says there also may be another factor helping the brand — Ivanka Trump herself. That's because she still sometime wears her designs publicly in her new high-profile role. When her father became president, Ivanka Trump's husband, Jared Kushner, took on a senior adviser role, and she took on an unofficial role in Trump's administration. She announced in a Facebook post on January 11 that she would take a leave of absence from her fashion line. But she still owns the company, profits from it and sports its merchandise. When photos circulate of Ivanka Trump in her company's clothes, that may help boost sales, says Winder. "I'm sure there's some people who say, 'Hey, she looks pretty snazzy, she looks pretty professional, and I want to look professional like that as well.'" This week, CNN posted several photos on its site showing Ivanka Trump wearing both her clothing and jewelry. The headline for the post read "Ivanka Trump is a walking billboard for Ivanka Trump." Winder says the first daughter is breaking no rules by wearing her merchandise. "It's not an obvious promotion," he said. "People can wear what they want." But, he added, it has raised some ethical questions about where you draw the line. "It's certainly controversial." Trump product boycotter Amanda St. Jean says she takes issue with Ivanka Trump wearing her merchandise while in the White House. "It's still that blurring of the line," said St. Jean, who lives in Guelph, Ont. She said if the brand is currently doing well, it may be because it has an unfair advantage. 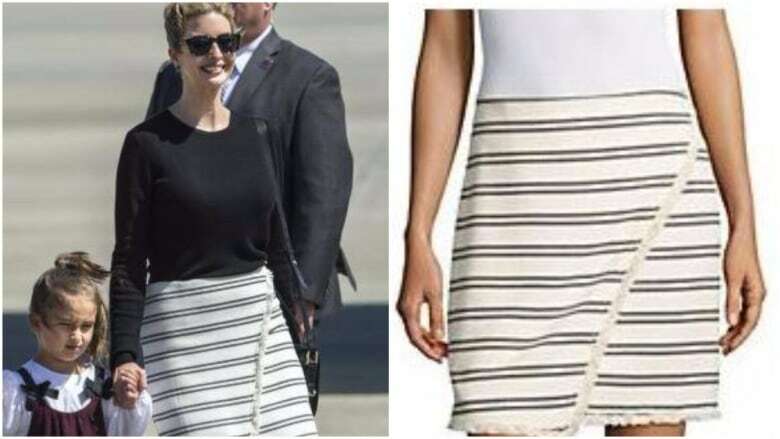 Besides the first daughter wearing her line publicly, St. Jean pointed out that her products are also getting promoted by people in the administration. After Nordstrom broke ties with Ivanka Trump's brand, her father, the president, bashed the department store on Twitter. My daughter Ivanka has been treated so unfairly by <a href="https://twitter.com/Nordstrom">@Nordstrom</a>. She is a great person -- always pushing me to do the right thing! Terrible! Senior White House adviser Kellyanne Conway also plugged the brand in an interview on Fox News, stating, "Go buy Ivanka's stuff ... I'm going to go get some myself today." "They got a lot of free advertising," said St. Jean. Is the Ivanka Trump brand boycott anti-feminist? She said she's boycotting stores selling Ivanka Trumps products because she disagrees with many of Trump's divisive policies, including his executive order on immigration and refugees. St. Jean sees Ivanka Trump as complicit in those policies because she stands by her father. And even if sales of Ivanka Trump's line are truly soaring, St. Jean said that won't stop her and others from boycotting it. "It's a matter of principle," she said. "Principle isn't data driven."